Wrinkles are the new naughty word of the decade. If you have them, you want to get rid of them at any price. If you don’t have them, you may make some wrinkles appear just by worrying about how to avoid them! This whole exaggerated fear of wrinkles is a cosmetic surgeon’s dream come true. They’ll inject you with something that could kill in high enough doses – just to smooth out a few lines on your face. But it’s only temporary. You have to go back month after month and pay a small fortune just to keep those signs of aging away. Before you know it, you’re paying more for maintenance on your wrinkles than it costs to keep your car tuned up! Water: Drink 6-8 glasses of water a day. It almost sounds too simple, but it’s very important to hydrate from the inside-out. 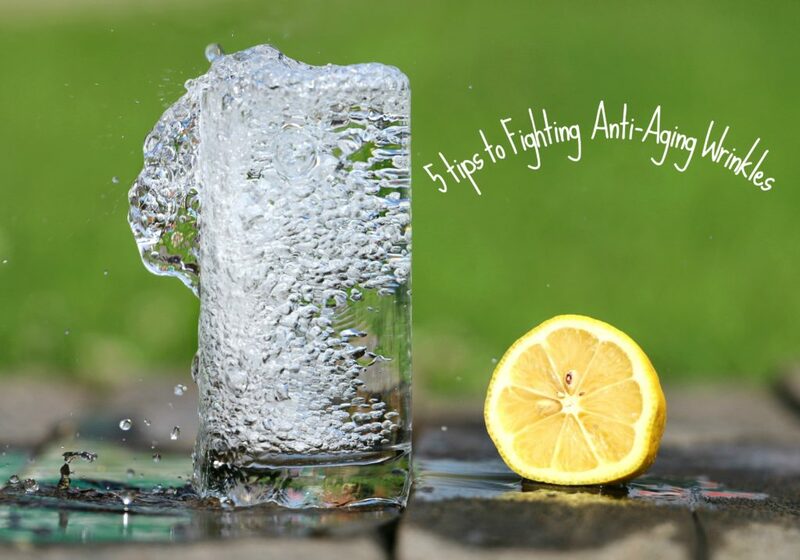 Your skin is the largest organ of your body and it desperately needs to be hydrated. Drinking water, not lattes or sodas, keeps your skin supple and the rest of your body benefits, too. Fruits & Vegetables: Increase your intake of fruits and vegetables. The natural antioxidants in these fresh foods help strengthen skin tissue so that it repairs and rebuilds on schedule. Vitamins: Take vitamin and mineral supplements – particularly skin-friendly Vitamins A, C, and E. It doesn’t matter how many creams you put on your skin – if your body isn’t well-nourished, hydrated and supported with vitamins, signs of aging will show up and cause damage to your appearance. Nuts: Include more nuts and oils in your diet. Use high-quality virgin or extra virgin olive oil in your salads and for cooking. Snack on walnuts, peanuts or almonds. These foods help your body lubricate the skin from the inside-out. Antioxidant Creams: Additional antioxidants can be applied to the skin with creams made from soy protein, Vitamin A (retinol), peptides, hydroxy acid and CoQ10 Enzyme. Look for these in a health food store or natural pharmacy. They aren’t cheap, but you’ll get better quality here than some of what you could buy for twice the price in a department store. And the natural products aren’t filled with artificial chemicals. Combating wrinkles is an inside job as well as outside maintenance regimen. No amount of expensive designer creams will overcome what your body lacks to rebuild damaged cells.